A new software update for Samsung Galaxy S II has been leaked and it’s apparently a beta built of the Android 2.3.4 update, known as the build XXG1 or firmware version I9100XXKG1. According to some folks over at SamFirmware the update is a beta built of the Android 2.3.4 update for the Galaxy S II, and there are a choice of custom ROMs based on the latest Android OS available. They got their hands on a leaked firmware update to Android version 2.3.4 which seems to be the firmware version I9100XXKG1, with a build date July – 5 – 2011. 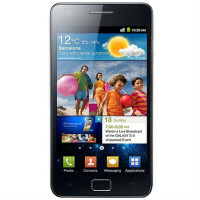 The Galaxy S II (GS2) is one of the fastest devices in the market. It packs a dual-core 1.2 GHz processor and a Mali 400MP GPU, the phone is absolutely great. Additionally, it has a maddening 1 GB RAM to offer you all the crazy multitasking you ever dreamed about. Other great features include an 8 megapixel snapper, Wi-Fi, GPS, Bluetooth 3.0, FM Radio, gyroscope, accelerometer, and an NFC chip.